FC Barcelona and Sevilla FC will play one another in the Spanish Super Cup on 12 August, in a single game. The RFEF (Spanish Football Federation) announced the decision in a press conference on Monday, held at their headquarters in Las Rozas, Madrid. RFEF president, Luis Rubiales, added that "The intention is for the game to be held in Tangier, but this is still to be officially confirmed." 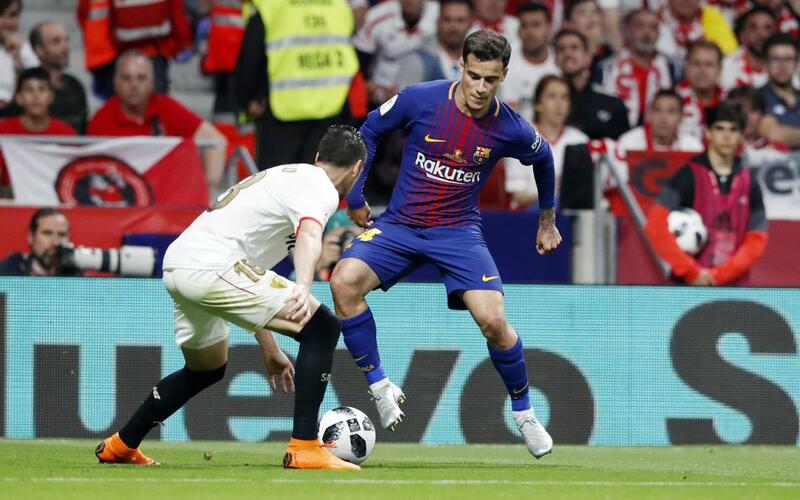 The most recent meeting between the two sides was in the 2018 Copa del Rey final at the Wanda Metropolitano. Spurred on by a majestic Andrés Iniesta performance, Barça won the game 0-5. In the Spanish Super Cup, Barça and Sevilla met in the 2010 and 2016 editions of the competition, with the Blaugranes victorious on both occasions. The 2016 encounter saw Sevilla participating as Copa del Rey runners-up, having lost to Barça in the final -the same as this year. That time around, FC Barcelona lifted the Super Cup thanks to 0-2 and 3-0 triumphs in the two legs. In 2010, the side coached by Pep Guardiola overcame a 3-1 first leg defeat by winning 4-0 at the Camp Nou, with Leo Messi scoring a hat trick.